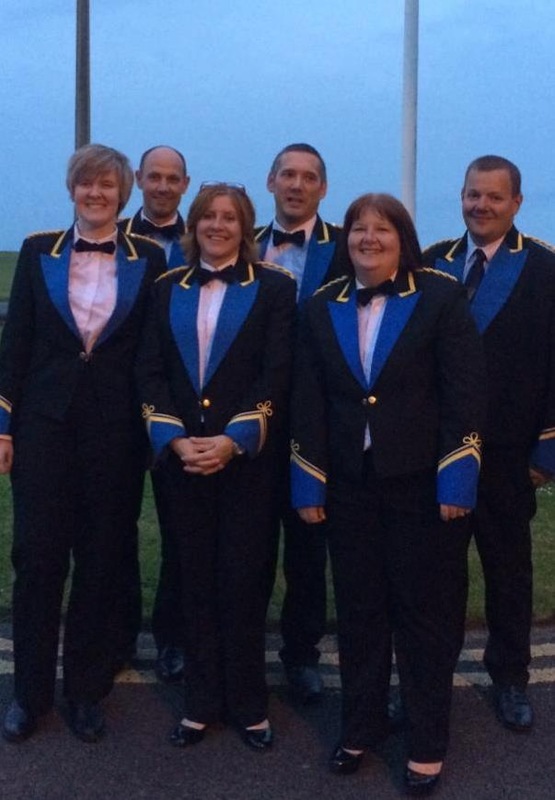 The band are very pleased to welcome six new players who made their debut at the Summer Concert at the Lowther Pavilion on 1st June 2014. Jess Lyons joins us on Repiano Cornet, Val Hodgson on 3rd Cornet, Alison Waring on Flugel Horn, Mike Harrison on 2nd Baritone, Ray Waring on Eb Bass and Ian Hodgson on BBb Bass. This entry was posted in Brass Band, Concerts, Freckleton, Players by grumbal. Bookmark the permalink.